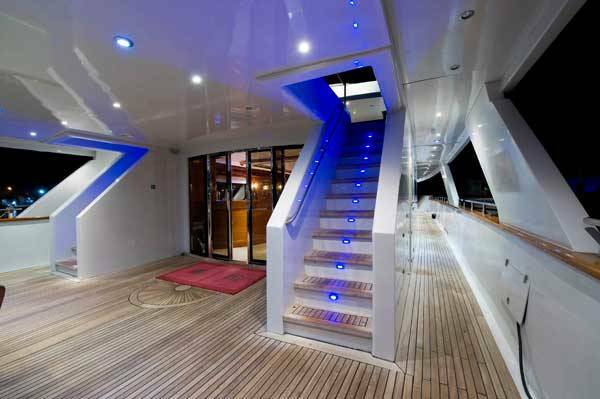 Ever thought about marrying on board a luxury yacht? 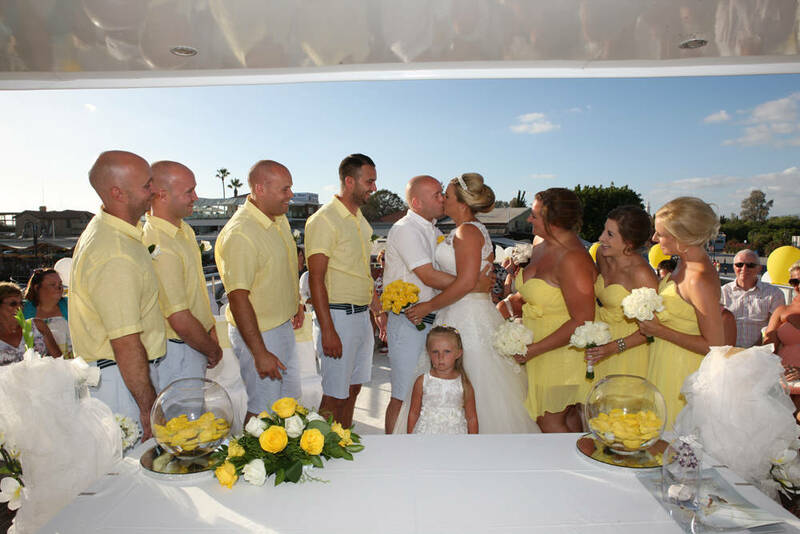 We can offer Civil or Anglican ceremonies on board any of our boats in Paphos Harbour (West Coast). 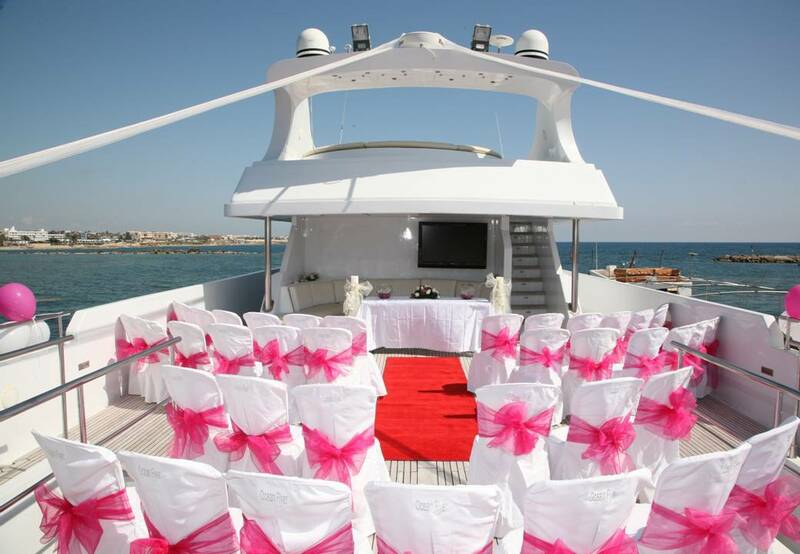 And we can offer civil ceremonies on board our vessel in Protaras (East Coast). 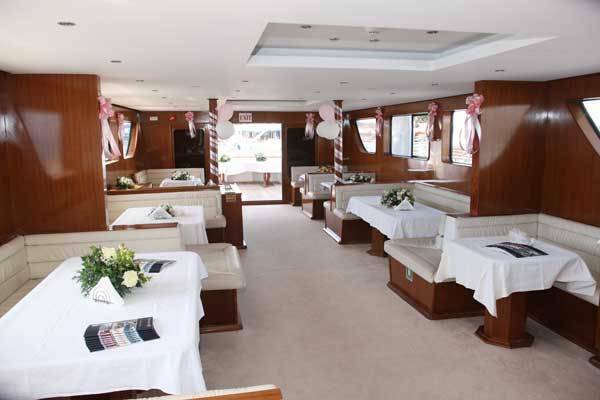 The ceremony would take place whilst in dock in order for your Marriage to be legal and then following from this you can cruise out to celebrate your wedding reception!! Maybe you prefer to have a religious ceremony on board? Yes, we can also offer you an Anglican ceremony (usually take 30 mins) to be performed by the Reverend from the Church of England- Please note that there is an extra charge for this. There is no need to have a civil ceremony before an Anglican marriage service, as the officiating clergy are Licensed Marriage Celebrants of the Republic of Cyprus. The Marriage Service that is used is similar to that used in the Church of England, and is recognised in English law as a valid marriage. Please note that you will have an interview prior to your wedding day which will be sent to you prior toyour arrival here in Cyprus.